The South Carolina Personal Injury Attorneys Applications provide you with helpful resources and easy access to emergency tools that can help get you to safety in the event of an accident. 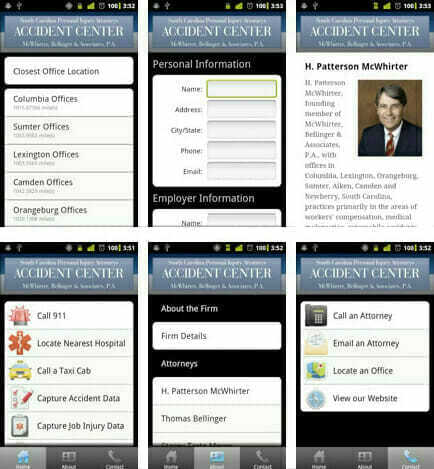 Click on one of the links below to download the McWhirter, Bellinger & Associates, P.A., mobile app for iPhone or Android. Don’t have a scanner app? Click here for the scanlife app.